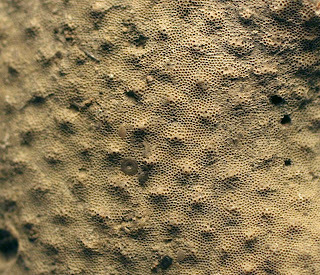 Monticulipora mammulata bryozoan fossil found in Bullitt County, Kentucky. 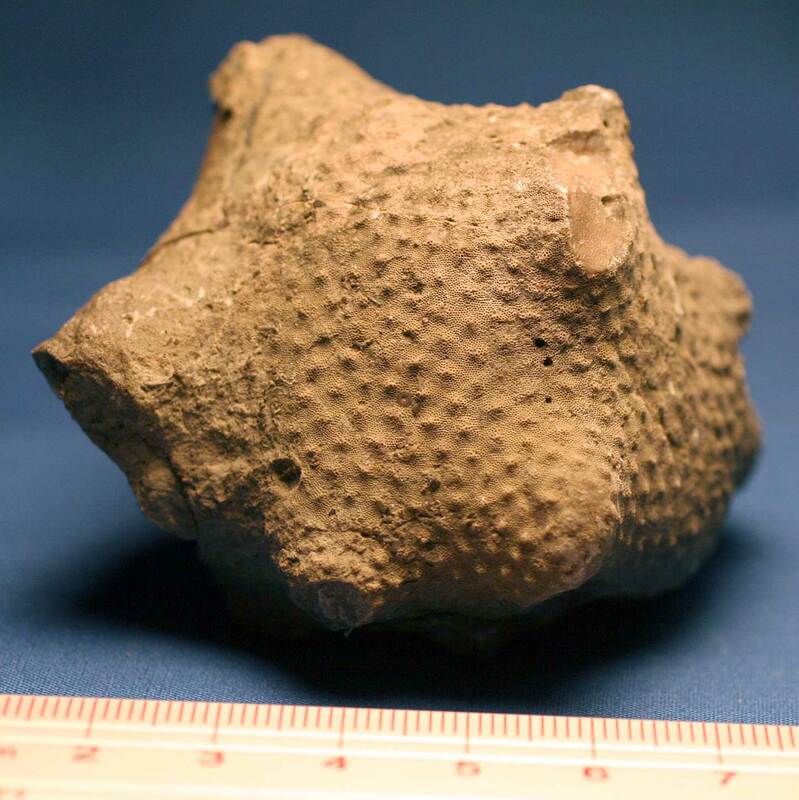 This colony existed in the Ordovician Period. Next picture shows a closeup of the small holes where the zooids lived.